Lose yourself in the heart of the Cyclades at Paros and Antiparos. They’re one of the most loved, and most partied, holiday destinations in Greece. Trip checkins are on Saturdays, at 5:00p.m. and you’ll be checking out from your yacht in Paros on Thursday, at 5:00p.m. 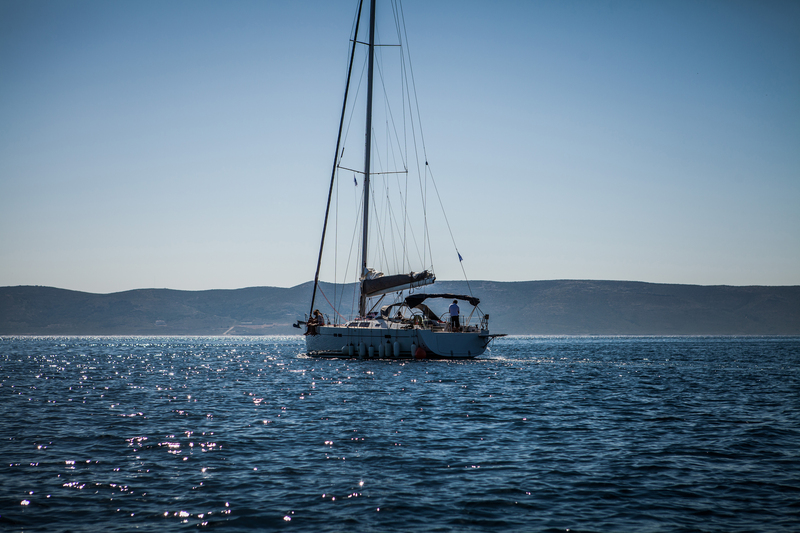 Casting off from Athens, you’ll sail to the port of Sounio for the first leg your trip. You can admire the Temple of Poseidon from your yacht but, if you have time, we recommend you visit the Temple at sunset or sunrise – it’s an amazing experience. The city of Loutra is small but it attracts lots of visitors, while its variety of restaurants and bars have a laid-back vibe. 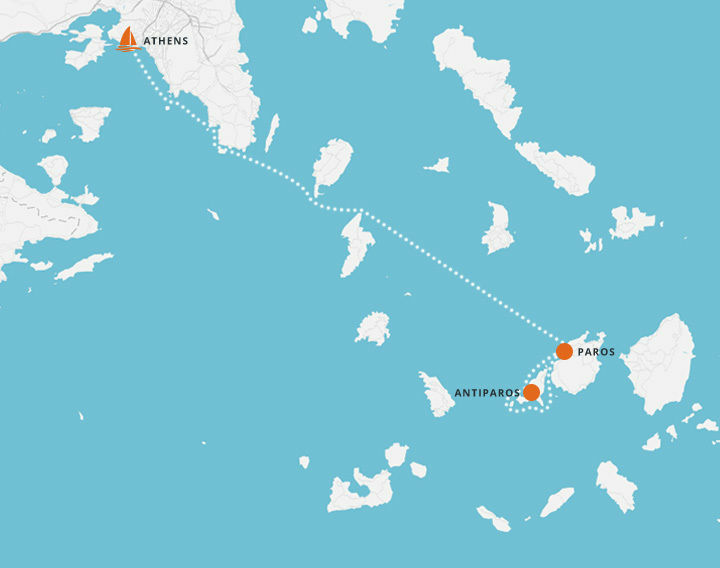 If you sailed directly from Athens, go for a late dinner or drinks. 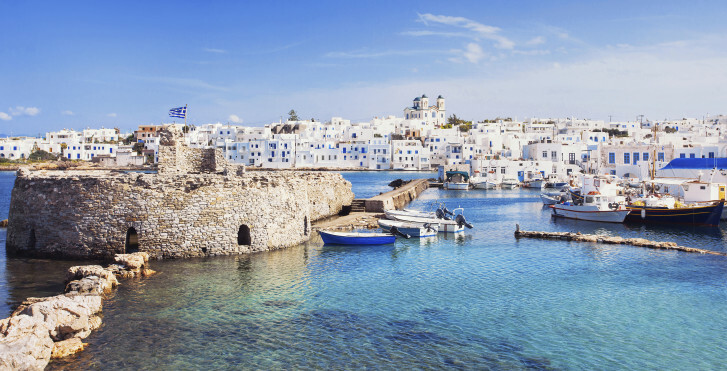 Come morning, and before you head off to Paros, you might want to visit the thermal springs that the town has been famous for since antiquity. Your first stop on Paros is Naoussa, at the island’s northwest. The characteristic white and blue colors of the Old Port of Naoussa attract travellers the world over. One look at the traditional fishing boats and you’ll see that Naoussa remains a fisherman’s town. Yet, Naoussa is also a party hub and its nightlife has been compared to what you usually find in Mykonos. From low-key bars to dance clubs, there’s something in Naoussa for everybody! Go to Naoussa’s Limanaki area for the freshest seafood you’ve ever tasted. When the sun takes its daily dip into the sea, head over to Agosta bar for great drinks and an even better view of the Aegean. Salty bar is the place to dance, right next to the sea! For your dose of history and culture, visit Parikia. Here, you’ll find the Archeological Museum and the winged statue of Nike, carved by the fine marble that the island is famous for. Also visit the church of Panagia Ekatodapyliani which dates from 326 AD. The highlight of your evening at Antiparos has to be La Luna – this rustic dance oasis has been the best summer memory for generations of dancers, drinkers and lovers. Fishing boats and yachts moor at the organised beach of Monastiri during the summer. The bay is also the Environmental and Cultural Park of Paros – a natural Aegean gem. Santa Maria is an organized beach offering lots of watersports, like windsurfing, scuba diving and paddle boats. Right nearby is Kolympithres – it’s not your typical sandy beach as large rocks split the beach in a series of small coves. It’s also a recommended family-friendly beach with great views towards Naoussa. Cold sea currents visit Martselo so, even during August, you’re in for an unseasonably cool swim. Logaras beach is near the tiny settlement of Piso Livadi – it’s a long and beautiful stretch of beach you won’t want to miss. Golden beach, at the southeast of the island, is one of Paros’ most famous beaches – you’ll find lots of space but remember to bring your own umbrella! At Antiparos, visit the beach of St. George for a swim that’s free of loud music and too many beachgoers.